WHY DOES MY WOOD TURN GRAY AND GREEN? Simply stated, the sun is responsible for turning your wood deck, fence, or shingles gray. The process occurs through photo- oxidation of the surface catalyzed by UV radiation in sunlight, and is augmented by rain, changes in temperature, traffic, etc. In layman’s terms, the sun fades your wood as it eventually fades everything else. Mildew and mold are responsible for turning your wood green and black. The wood will slowly get rougher, the grain of the wood will rise, and eventually it will crack and split. Once the wood splits, it allows more moisture to penetrate the surface of the wood. Excess moisture feeds rot. In addition, the freezing and thawing of the invading moisture breaks the wood apart at an accelerated rate. Horizontal wood surfaces are at a far greater risk for premature deterioration. Leaving mold and mildew unchecked, just breeds more mold and mildew. Essentially, leaving your wood to the elements is a sure guarantee for a shortened useful life span. A wood deck could easily show signs of rot and decay within 10 years of construction, if left completely to the elements. 1. We can safely clean your wood. SparkleWash® will use a combination of exclusive patented cleaning products and low- pressure cleaning methods to remove all of the gray, black, and green. 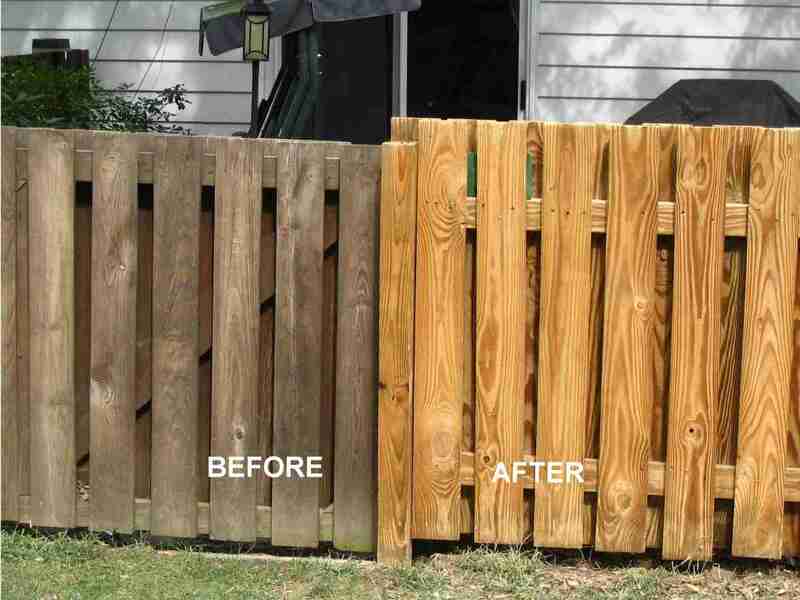 Unless your wood is too far gone, we will restore to it’s like-new appearance, guaranteed! Imagine your wood deck, fence, or shingles looking similar to the day it was constructed. Of course, we highly recommend applying a high quality sealer to the wood to not only make it look its best, but also to protect for years to come. 2. We can strip previous coats of sealers. SparkleWash® can remove lower quality, misused, and inconsistently worn wood sealers. You might ask why you would ever want to strip a sealer? Overusing wood sealers creates an unsightly build- up. Sealers applied to dirty decks, trap mildew and mold under the coating. Also, high traffic areas wear wood sealers inconsistently and applying more sealer just perpetuates the problem. The only solution to the above circumstances, is to remove all previous sealers and start from scratch.SparkleWash® is one the few, if not the only, company that has the experience and know-how to perform this delicate process. Wood stripping is not for the inexperienced. A good quality sealer must be applied after our deck stripping service. 3. We can protect your wood. SparkleWash® applies high quality sealers to protect your wood for years to come. A properly sealed and maintained deck can easily last a lifetime. We apply two coats of sealer to all of the horizontal surfaces giving them the extra protection from the sun, rain, and traffic they need. In addition, we tape all adjacent surfaces to prevent any accidental staining from occurring. How long do our high quality sealers last? On horizontal wood surfaces our sealers generally last 2 to 3 years, and on vertical ones they last 4 to 6 years. It varies greatly depending on sun, moisture, and traffic exposure. Furthermore, we use a variety of different wood sealers, in a variety of different colors, to satisfy almost every budget and personal preference. 4. 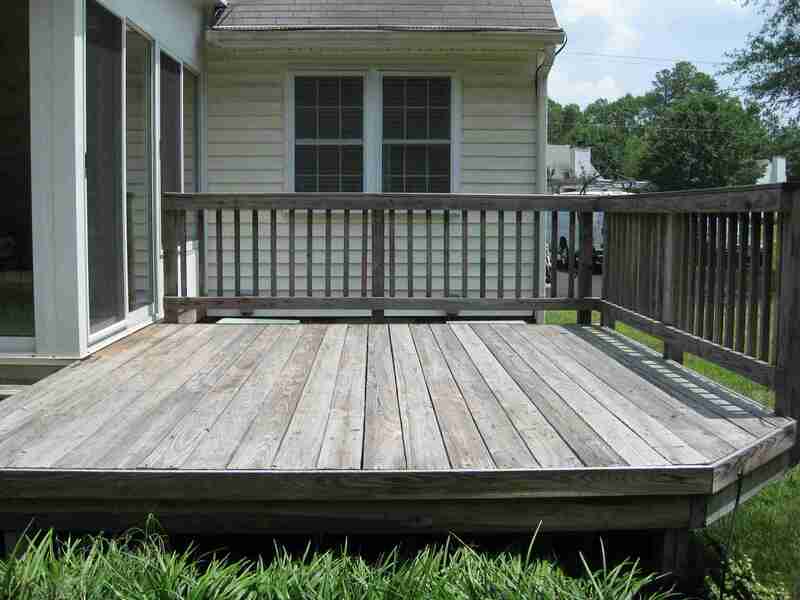 We can maintain your deck. SparkleWash® offers a headache free deck maintenance program. After the initial cleaning and sealing, we will come back in 2 to 3 years (depending on your preference) to completely clean your deck again. Then, for 50% the price of the initial sealing, we reseal all the horizontal surfaces with two coats of sealers. After another 2 to 3 years, we start the whole process over with a complete cleaning and sealing. 5. We can clean a variety of woods. SparkleWash® has cleaned everything from cedar shingles to entire log homes. We have been cleaning and preserving all types of exterior wood surfaces for over 25 years. If it’s wood and can get wet, we know how to restore it. 6. We can clean composite decking. SparkleWash® can safely remove dirt and stains from all composite decking brands. 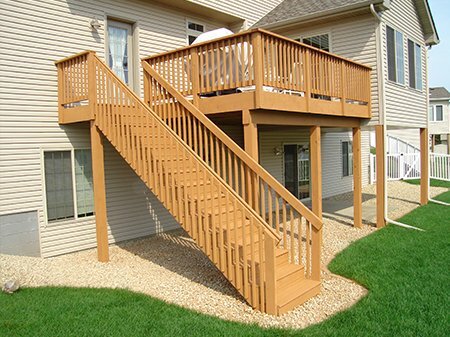 We have the products and the experience needed to make your composite deck look good. Pressure washing composite decks is not for amateurs. 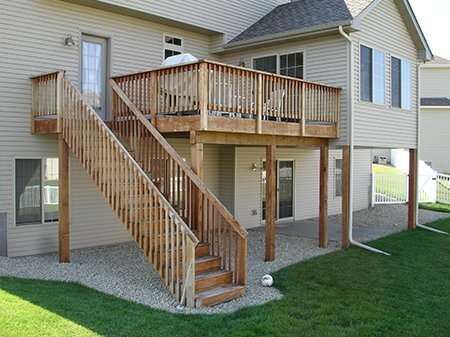 Improper techniques and cleaning products can permanently damage your composite deck. We only use manufacturers recommended products and techniques to clean composite decks. And, we never use bleach in our composite deck cleaning process. We’ve even done work directly and exclusively for some of the big composite decking manufacturers. With hundreds of local homes, buildings, and fleets cleaned, we don’t have one unhappy customer. We do the work right the first time, but if there’s a problem we resolve it. Our customers are always right! Spring 2019 Special: Save 50% Off Our Professional Deck Cleaning Service with a House or Roof Wash.